LUGANSK, April 7. /TASS/. Ukraine’s forces opened fire against militia positions in the proclaimed Lugansk People’s Republic ten times over the past 24 hours, the republican defense ministry reports on Sunday. "Areas of Frunze, Donetsky and Kalinovo townships, Prishib, Nizhnee Lozovoe and Khoroshee villages were attacked by fire," the LuganskInformCenter news agency says, citing a militia spokesperson. According to militia’s data, the fire was opened using mortars, MICV armament, grenade launchers and large caliber small arms. Members of the security sub-group negotiated a new spring ceasefire during the video conference in the course of negotiations in Minsk. 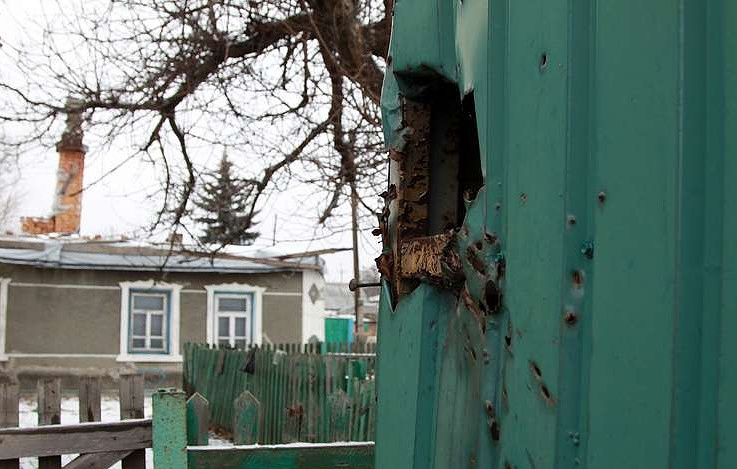 It entered force on March 8 but Ukrainian forces opened fire again in five minutes after it comes into force, thereby breaking the ceasefire agreement.